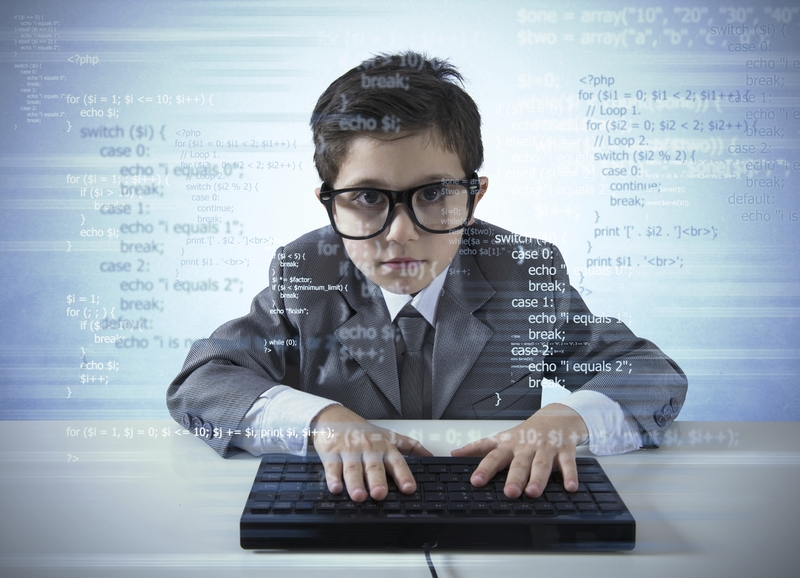 Why should four year-olds learn to program? Coding is a new literacy. We teach children to read and write because it opens new doors for them, gives them new ways to think about the world and offers new ways to express themselves. The same is true for coding. When we learn to code, we learn to think sequentially, to think logically, to solve problems. And most importantly, we gain the ability to create anything we can dream of. While it would be wonderful if more children grew up to fill the void of scientists and engineers, that’s not the only reason STEM literacy is vital. We don’t teach young children to write so that they will all become professional journalists and novelists. We teach them to write so they can create a shopping list, draft a business plan, share a love note. And research shows that if we don’t start encouraging coding when children are young, we’re missing an opportunity. By fourth grade, stereotypes surrounding those who aren’t good at math, science, technology and engineering (STEM) are already formed. So why do most of our STEM and robotics programs begin in middle and high school? Why aren’t we starting early, when children are curious about the world and open to learning new things? Of course, it is easier said than done. We need technologies that are developmentally-appropriate. Technologies that allow children to learn through creativity and open-ended play. This is why I am part of the team that developed KIBO, a robot kit designed for four to seven year-olds. KIBO is screen-free and uses familiar wooden blocks to build a sequence, with a customizable art platform to teach children, teachers and parents the fundamentals of programming in a fun and engaging way. You can read more about KIBO and our mission to introduce coding to children by watching this short video.